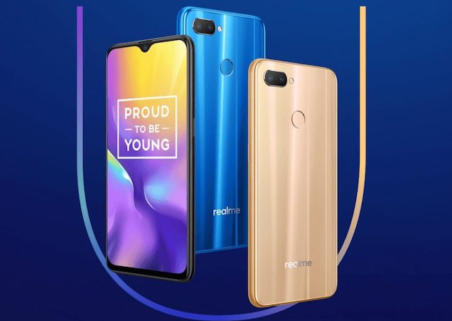 Realme U1 Is The First Device To Be Powered By MediaTek Helio P70 Chipset; Launched In India! As announced earlier, Realme U1 launched in India on 28 November. Realme U1 is a budget smartphone of the year which may give tough competition to its rivals; Honor and Xiaomi. The smartphone is somewhat similar to Realme 2 Pro in terms of front and rear design. But it is quite thinner than Realme 2 Pro. Realme U1 features 6.3-inch Full-HD+ IPS LCD display with a dewdrop notch and an aspect ratio of 19.5:9. The screen resolution is 2340 x 1080 pixels. The smartphone runs on Android 8.1 Oreo-based ColorOS 5.2 out-of-the-box. It is the first smartphone which is powered by MediaTek Helio P70 processor. The phone is packed up with 3500mAh battery, 3GB/4GB RAM and 32GB/64GB internal storage. Internal storage is expandable up to 256 GB via microSD. The measurements of the phone are 157.00 x 74.00 x 8.00 (height x width x thickness). It weighs 168.00 grams. Realme U1 will be available in three color options; Ambitious Black, Brave Blue and Fiery Gold. Realme U1 has been launched in India with 13MP (f/2.2) + 2MP (f/2.4) dual rear-camera module on the rear with LED flash. Whereas, the front camera has 25MP (f/2.0) Sony IMX576 lens. The connectivity options include Wi-Fi 802.11 a/b/g/n/ac, Bluetooth 4.2, triple-slot SIM, microSD card tray, micro-USB port for charging, and a 3.5mm headphone jack. Sensors onboard include M-sensor, G-sensor, Gravity sensor, rear-mounted fingerprint sensor, and proximity sensor. Realme U1 is launched in India at two different prices. The variant with 3GB RAM + 32GB storage has been priced at Rs 11,999. Whereas, 4GB RAM + 64GB variant is available at Rs 14,499. The smartphone will go on sale from December 5. Pre-registration is also available on the Amazon India.